Since ancient times, China has had the tradition of drinking tea to maintain health. Drinking tea not only replenishes water for the body, but also offers a variety of health benefits. The Little Parrot Farm invites you to the Spring Tea DIY workshop, led by the natural regimen expert, Ms. Lu, Suirong, on 4/13 at 10 am. What kind of tea should I drink in the spring? 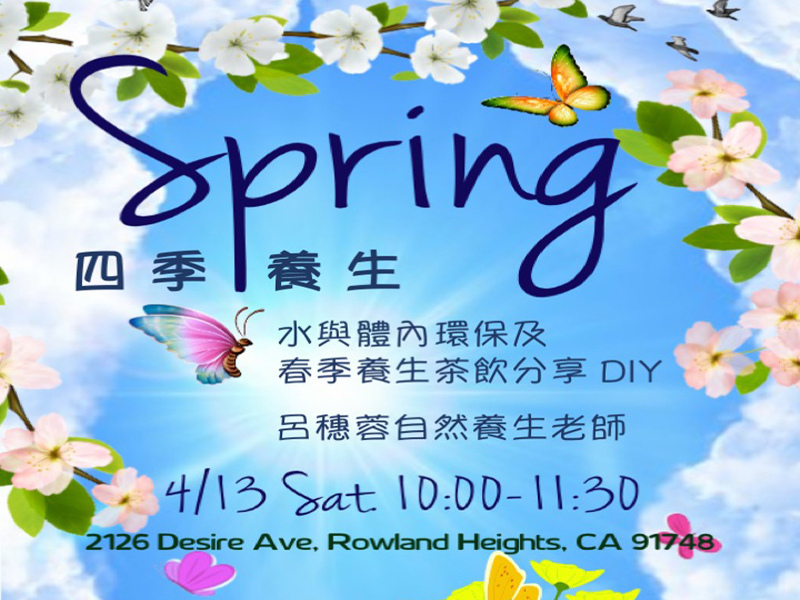 Ms. Lu will share with you the properties of spring tea and the role water plays in our health. Come enjoy a cup of spring tea and savor its health benefits!